Radiohead has been in the news a lot lately, but for some pretty strange reasons. Instead of a new album, people are talking about the band&apos;s new iPhone app and the 10-course meal some chef is making as tribute to the seminal Kid A. This comes shortly after a Brooklyn restaurant decided to make its Valentine&apos;s Day Dinner Beyoncé-themed, which, of course, comes just a few months after Queen Bey&apos;s visual album. Safe to say something strange is happening to the music industry. For the past few decades, the business has been trying to make sense of the digital age and figure out how to turn a profit. This has led to a lot of floundering, but in the past year especially, artists have turned to stunning multimedia stunts to draw attention to their music and to help people experience it in new ways. This video breathes new life into a classic track through a series of fake television channels (a soon-to-be classic medium). Most of us know Dylan&apos;s lyrics well enough to change channels with the beat, but the point of the new media experiment is to draw an unfamiliar audience to the song (if such a thing exists). From the History Channel to the Weather Channel to the romantic comedy that&apos;s somehow always on, Dylan TV has enough content to keep long-time and brand new listeners entertained more or less forever. Best of all, in Dylan TV, Bob Dylan doesn&apos;t appear in any commercials. This is what happens when the queen of unusual does business as usual — an app that turns an album into a full-fledged visual orchestra. Boasting an interactive art and music experience for each song, this app has everything: neon constellations, intro monologues by David Attenborough and, of course, a catch — the download starts at $12.99, and requires you to make in-app purchases as you fly around Bjork&apos;s galaxy. Swan dresses don&apos;t pay for themselves, you know. A follow-up to one of Google&apos;s most high-profile Chrome Experiments — the video for the band&apos;s "We Used to Wait" — Arcade Fire&apos;s "Reflektor" video was far more intricate, cinematic and technologically advanced. The interactive microsite/video allowed users to control the action on screen via mobile phones and web cams. At one point, viewers even see their own reflections — how&apos;s that for subtle salesmanship? Though Glass&apos; remix album certainly helped the aging composer appeal to millennial hipsters, commissioning remixers like Beck, Dan Deacon and Pantha du Prince just wasn&apos;t enough. Thus, the interactive "REWORK_" app was born. Featuring an interactive music control panel (appropriately dubbed "Glass Machine"), the app&apos;s sound experiment was so provocative that it was displayed in a modern art museum. But its real achievement was its understanding of how to entertain hipsters: give them fun things to look at while they do drugs. It&apos;s no coincidence Beck has helped with multiple items on this list — the artist has always challenged form. Personally, I won&apos;t ever throw away my high school copy of The Information because — duh — it came with stickers. 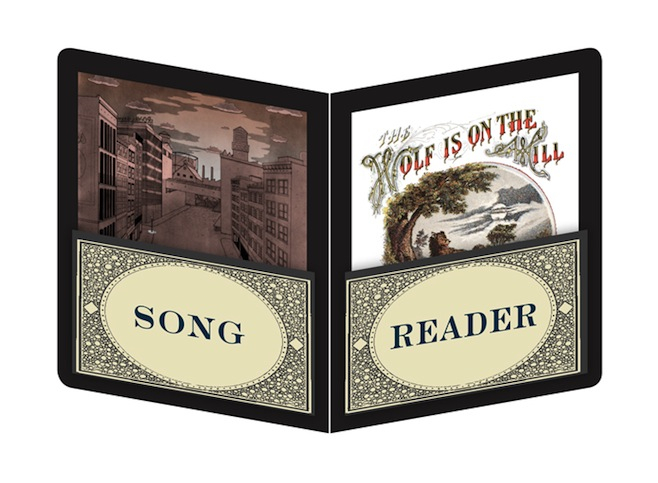 But Beck&apos;s Song Reader "album" took strange a step further, and was actually released as a book of sheet music for "listeners" to perform themselves. It&apos;s the closest Beck has come to being John Cage — except for the whole partnership with Warby Parker. FlyLo is no stranger to new media, but Cosmogramma&apos;s digital cover was special even for him. Users could set down their liner notes to manipulate the crazy cover art (and accompanying sounds) with both hands but his interactive Cosmogramma cover served as a clever business move as well. Purchased albums could be held up to web cams to trigger a secret augmented reality UFO game. Consider this a "thank you" for paying his rent. When a band becomes a one-hit wonder and wants to desperately cling to fame, the industry seems to give it a few options: Either do a weird commercial, or rebrand yourself as a gang of viral superstars. Yolanda Be Cool, creators of "We No Speak Americano," went for the latter with a self-aware promo for their new album. In the clip, the duo holds a press conference and recalls their product because its "beats are no longer fresh." Viewers are then invited to download a "replacement song" from the band&apos;s new album. Regardless of what you think of the new track, the stunt certainly gave Yolanda Be Cool some dimension — a feat their massive viral hit didn&apos;t quite accomplish. 8. Pharrell&apos;s 24-hour video for "Happy"
Microsites are less profitable than apps, but they&apos;re still great marketing opportunities. Of course, Pharrell had the backing of Despicable Me 2 (the movie for which he wrote the song), but he turned it into an uplifting sensation all his own, and got the whole Internet dancing. The video features 24 hours of content and allows users to toggle between time slots (or watch all of them, if we so choose). Jamie Foxx, Magic Johnson and Odd Future serve as delightful Easter eggs along the way. Light Light came out of nowhere with this unique video, and it&apos;s no wonder we paid attention. By tracking the paths of user cursors, they created a beautiful crowd-sourced project that didn&apos;t feel overly-involved or scattered.